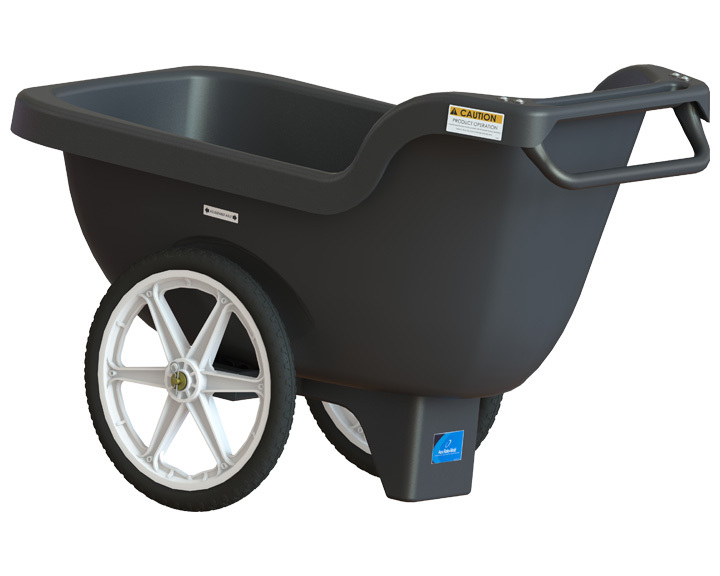 • 20″ diameter wheels with semi-pneumatic tires with sealed ball bearing support. • An adjustable axle is provided to allow load balance adjustments. • Cart is shipped knocked down & is UPS dimensionally compliant. 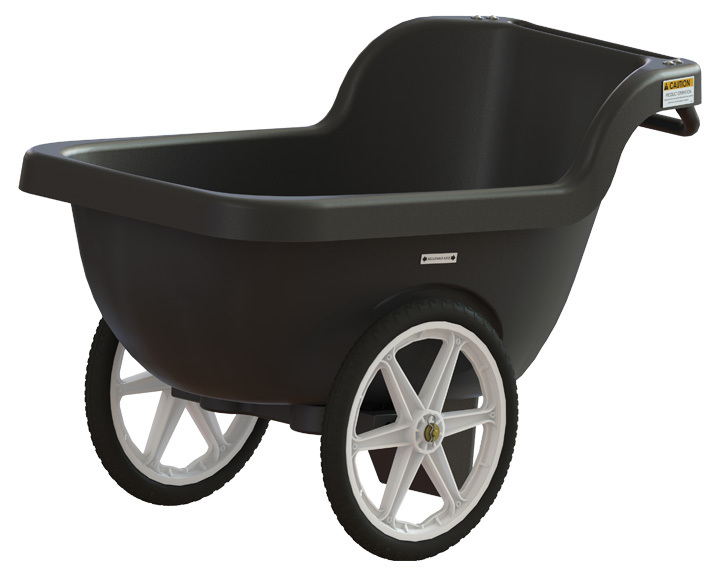 • Cart is manufactured from linear low density polyethylene with U.V. stabilizers.